If you need to cater your event within a limited food and beverage budget, we are more than happy to discuss ways to maximize your catering funds. Will I be able to receive the catering prices for parties booked in one of your restaurants? 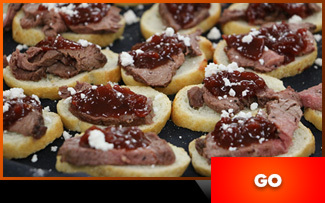 At this time catering prices are only available for off-site events. If you are planning on booking the event in one of our restaurants, please be sure to mention this to your consultant. How far in advance should I make arrangements with my caterer? As soon as possible is best to secure your date. However, at The Panhandle Restaurant Group we may be able to ac-commodate you even on short notice. Unlike most caterers, we have a retail outlet, and restaurant, which allows us to facilitate last minute needs. Short notice delivery orders are subject to staff availability. What menu style am I looking for? Hors d' Oeuvre? A Buffet or Station? Sit Down Dinner? Check out our menu styles for ideas. What service style am I looking for? Full Service? Partial Service? Delivery and Set-Up? Check out our service styles for more ideas. You will need an estimated guest count to begin with. The final guest count can be made a week prior to your event. What time of day is the event? How will this affect the type and quantity of food served? The time of day will make a difference. Be sure to ask your catering consultant for advice. Will I need rental equipment? Can my caterer provide this? The Panhandle Restaurant Group can provide china, glassware, place settings, skirted tables, tables, chairs, and more. Additional fees apply on these items. Where will my event be held? The Panhandle Restaurant Group can recommend many event locations city wide or suggest ways in which your home or office can be used. Contact a Panhandle Restaurant Group catering consultant for information. What are the specifications of the location? Our catering experts are familiar with many locations and can advise you the best layout for your event. What information should I have available when inquiring about catering? An estimate of the number of guests you plan to invite, a date, and the type of location you are considering is helpful. The parameters of your budget are also important. Keep in mind that the time of day influences the amount of food necessary, and consequently the cost of your catering. All prices exclude sales tax (8.25%) and gratuity (10-20%). All tax exempt groups must provide tax exempt numbers and forms. Will the quotation I am given be all-inclusive? 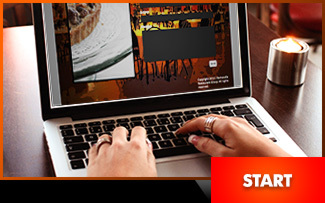 The Panhandle Restaurant Group will provide you a written itemized proposal based on your inquiry. As full-service caterers, we can fulfill many needs besides the food; including china, glassware, place settings, skirted display tables, waiters, bartenders, valet parking, furniture and equipment rentals, tents, flowers or other special decorations, referrals for musicians and other entertainment, and even the location of your event. Lately it seems like I am offered the same fare at every party I attend. - How can I make my party different? At The Panhandle Restaurant Group, each menu is individually planned with you. You can incorporate your decor, par-ty theme, and any special recipes ideas that will help make your party the memorable occasion it should be. My schedule is very busy. - Do I have to have a meeting in person to make my catering arrangements? Most of the arrangements can be made on the phone, by e-mail or by mail, if you prefer. We welcome personal meet-ings as it gives you the opportunity to both sense and taste the quality of our products. We would be happy to make an appointment for you with one of our full-time professional catering consultants at your convenience. Evening and Saturday appointments can be arranged. An appointment at the party location can also be very useful in helping to plan the logistics and familiarizing us with the space available. How can I be sure that my caterer is reliable and competent? Check for experience and references. The Panhandle Restaurant Group has over 85 years of combined catering experience, catering from 10 to 10,000 people over 4 states. 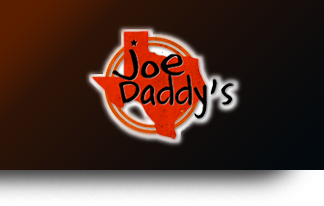 Joe's Catering is a combination of Joe Daddy's, Joe Taco, and Macaroni Joe’s. We cater outdoor events to full service upscale events. 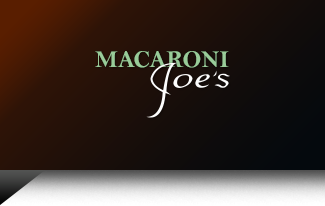 Be sure to ask about our specialty menu exclusive to Joe’s Catering. Will you be able to provide the champagne, wine, and liquor? The Panhandle Restaurant Group is unable to provide you with bar service at this time; however, we can recommend some great vendors in the area. Additionally, we can assist you in hiring state certified bartenders for your event. Everybody in the office is making their specialties for our office party, and we really only need a few items. Can you help? Of course; we are more than happy to incorporate any dishes you would like to provide in our full service catering, or if you are on a tight budget but would still like to enjoy our quality and convenience, party food is available on take-out trays for you to pick up or for us to deliver. I would love to have my party catered, but I am having trouble finding a location. 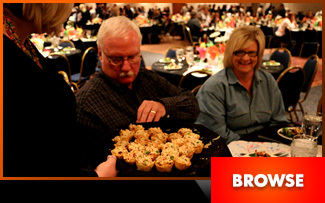 We are aware of many reception/banquet facilities due to our extensive experience in catering events citywide. Or we can suggest ways in which your home or office space can be maximized. Our event is being held outside of the Amarillo Area, will there be a delivery fee? There is no delivery fee for deliveries within a 20 mile radius and any delivery outside this area will be assessed a $0.40 per mile per vehicle charge. We want to provide hot food for a long period of time, but will it stay hot? Yes, the Panhandle Restaurant Group uses specialized equipment that allows us to keep food hot within the Texas Department of Health mandated regulations. Will you clean up after our event? The Panhandle Restaurant Group will clean up the area from which we served. In the event that china and flatware are used, we will clear the tables once the serving time has ended. If you would like for us to wait until after the event is finished to clear the tables, a standby fee will be assessed for each additional hour after the serving time un-til we are able to resume cleanup. Will you provide linens for tables at our event? The Panhandle Restaurant Group will provide linens for our serving lines free of charge upon request. We are also able to provide table linens at $5.00 per table for chair length and $20.00 per table for floor length. Will you provide trash bins? Most facilities offer trash bins for your event, and we will utilize these during your event. Please ensure to ask the facility if they offer these services. If we are asked to provide trash bins for your event, a disposal fee will be as-sessed. What will happen to the food that is not consumed? The majority of the time that any open food items remain it must be disposed of in order to comply with Texas Department of Health regulations. If an item has not been opened and meets Texas Department of Health regulations, you are welcome to provide your own storage containers to take food away. If food is not taken by the client, any leftovers complying with regulations are donated to a local shelter. None of the remaining food from your events will be used by our restaurants. How do I reserve the date for my event? Typically 25% of your catering order is required to book your event. For serviced events, we require a two week notice. For deliveries, there are a few menu items that require a 24-hour notice. 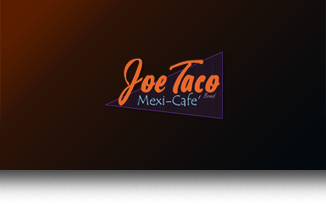 For more catering information please email info@joescateringama.com or call us at 806-322-6262. All prices exclude sales tax (8.25%) and gratuity (18%). All tax exempt groups must provide tax exempt numbers and forms. Can I request more Servers than what is “included” with the standard service charge? Yes. Each additional server is $60 for the standard 3.5 hours of service. What if I need more time than the 3.5 hours you provide with the standard service charge? You can purchase additional hours at $20/hour for each server. Do you provide disposable plates, cutlery, napkins and serving utensils? Yes. This is included in your order (if needed). Do you have cake cutting services available? Yes. The cost is $50 or $0.50 per guest – whichever is higher. Yes. When you purchase non-alcoholic beverages through the Panhandle Restaurant Group, we will provide ice (if needed). What will the catering staff wear? Typically the staff will wear black polo's or black chef coat, black pants, and black shoes. We are also able to dress to your theme, if requested. Will the catering team help with set up and tear down of tables? Typically the 3.5 hour service time does not cover this. You are welcome to add additional hours if this service is needed. Do you provide tax exempt sales with proper documentation? Yes. A copy of the tax certificate is required prior to the event. How will service be confirmed? An event agreement must be signed by both parties to confirm the event pricing; preferably 30 days in advance or as appropriate. The final guest count for your event is due two weeks prior to the event date. The final event costs may vary due to fluctuation in rental pricing. A final invoice will be generated detailing full event costs. Is a deposit required? How is final payment handled? If the total cost of the event exceeds $500, we require an initial deposit of 25% (cash or credit card), payable upon signature of the event agreement. For events that exceed $2500, we require an initial deposit of 25% payable upon signature of the event agreement with an additional 25% due two weeks prior to the event (cash or credit card). Final payment of anticipated event costs is due the day of your event (cash or credit card). Additional charges may apply upon conclusion of the event due to fluctuations in pricing of rental items. How are cancellations and changes handled? Notification of event cancellation or changes must be made in writing with both parties signing the notification document. Any costs incurred on your behalf by the company will be deducted from any deposit in the event of cancellation or changes – an invoice will be provided along with any remaining refund. Changes may be made to the original agreement up to two weeks prior to the event; after this time, charges may apply. Cancellation 15 days or longer before event: If cancellation is fifteen days or longer before the event, a refund will be issued to you within 7 business days (via credit card or company check). Cancellation within 14 days of the event: If cancellation is within fourteen days of the event, all deposits may be applied to a different date within one year of the original event date. Cancellation within 3 days of the event: If cancellation is within three days of the event, all deposits are forfeited. Am I able to order off multiple catering menus? Yes, If you would like to mix and match your options, please feel free to do so.